In December, the io9 Book Club read Ann Leckie's novel Ancillary Justice. Today from 12:00-1:00 PDT, Leckie is here to answer your questions! 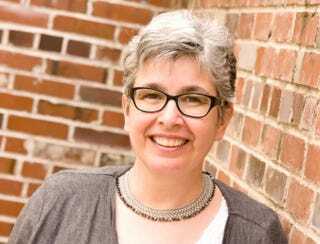 Ask her about Ancillary Justice, what it's like to publish her first novel, or anything else! Just jump into comments and ask questions, and Leckie will get to as many as she can during the hour she's here today. Please be polite! Want to find out more about the io9 book club? You can see our past meetings here. This month, we're reading Tony Burgess' novel The N-Body Problem.